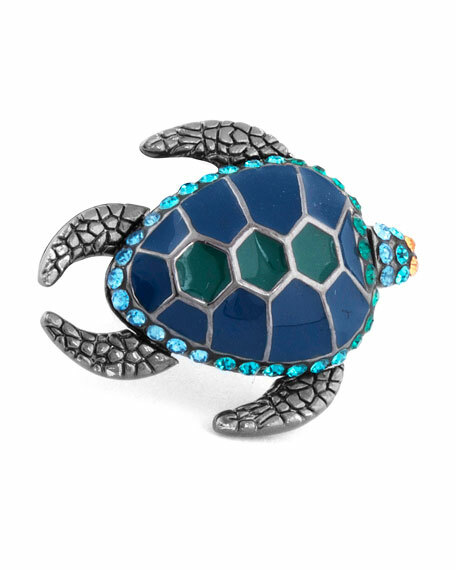 Rhodium-plated metal with enamel details. Approx. 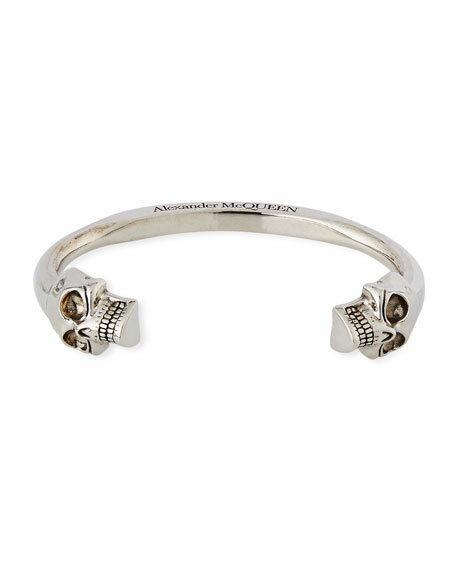 0.9"L x 0.7"W x 0.7"D.
Alexander McQueen twin-skull bracelet. Coated brass hardware. 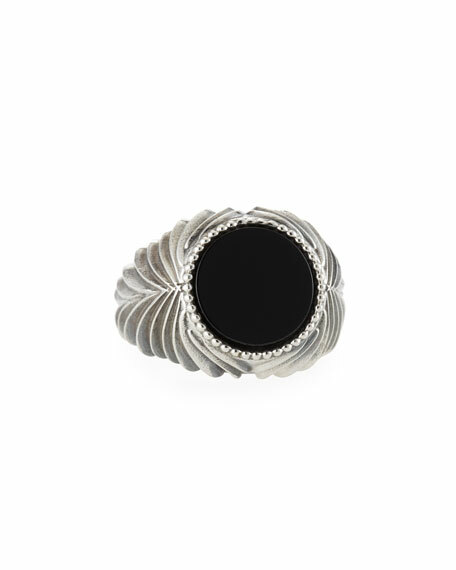 Open cuff. Slip-on style. Approx. 3" diameter. Made in Italy. 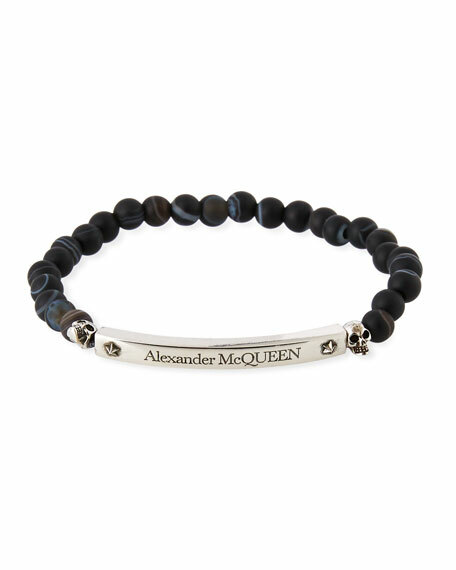 Alexander McQueen bracelet in agate. 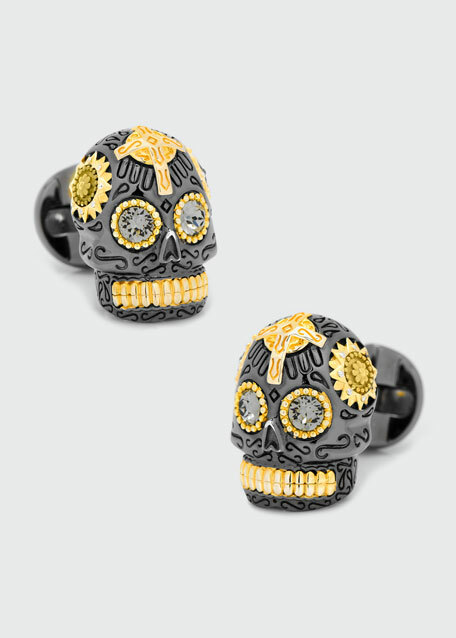 Mini skull beads; logo engraved bar. Silvertone trim. Approx. 2.5" diameter. Made in Italy.